A "Life List" is something most birders have, a list of all the birds they have seen in their lifetime. Rob and I have talked about doing one for years, but still haven't gotten around to actually doing it. I imagine we're well into the hundreds now, of the various species of birds we've seen. When I go birding it's more about what the day will bring, what we'll see, and not if I get to add a bird to a list, but still, there is always something special about those "firsts", like the first time a chickadee landed in my hand for seed, or last year off the coast of Nova Scotia when there were Puffins, that I was seeing for the first time, flying all around the boat I was on, those are magical moments. 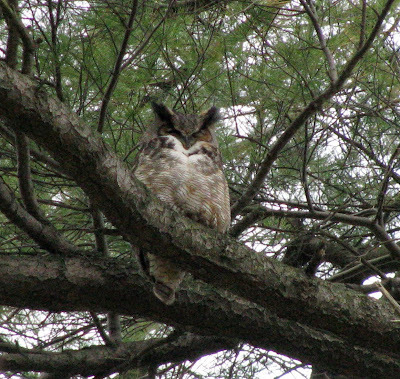 I had another of those moments last Saturday, April 24th, 2010, when walking around a park just outside of Oshawa I happened to look up into a tall pine tree and see for the first time a Great Horned Owl peacefully sleeping the day away. It was a "Oh my God" moment as I stared in awe at this majestic creature. 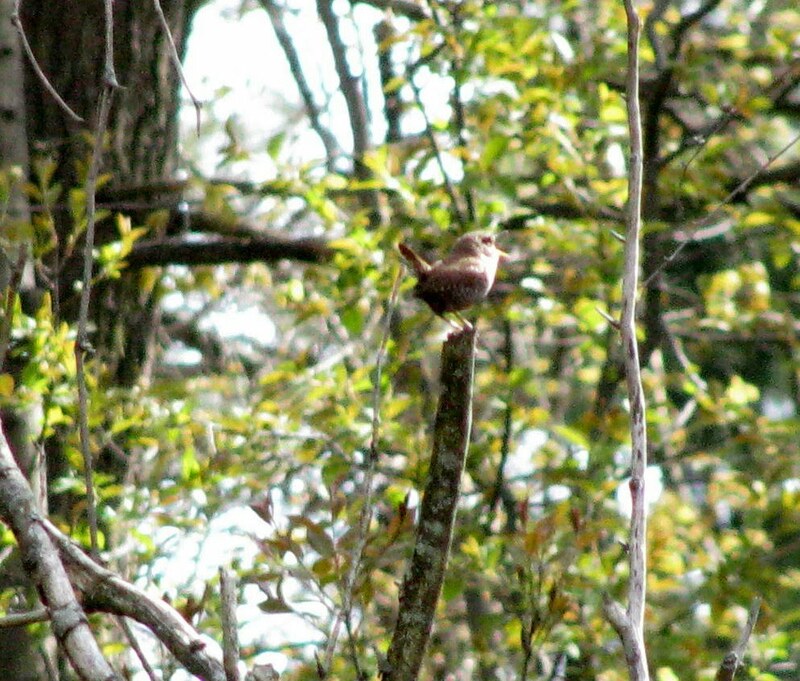 On the same day, in the same park, we also ran into a friendly birder who pointed out to us a Winter Wren. 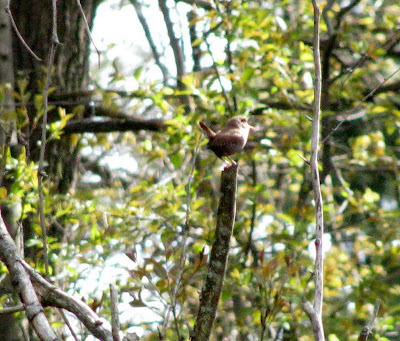 We had never seen one before and were delighted when the Wren came out in clear view and sang us a song like he was waiting for an audience. We never know what we're going to see when we head out on our birding trips but we're never disappointed. A Winter Wren entertaining us with a song. Wowsa! Once again, I'm in awe of your photos!! It's amazing the amount of birds out there.